Your horse will love a body work session with benefits including increased muscle strength and suppleness, tissue repair and improved circulation. Muscle Rehab Treatment is an effective combination of modalities to release tension and restore balance in the equine body. The soft tissue addressed includes muscles, tendons, ligaments and fascia. It is a systematic approach to body balance that works through the whole body, setting up a pattern of release as it progresses and firing up the muscles back into full working order. The treatment may take up to an hour but the time is dictated by the horse’s body. 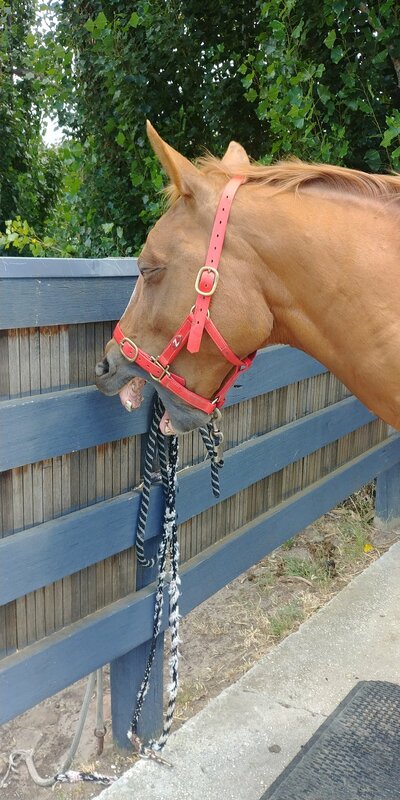 Horses generally harbour pain and compensate in their way of going for some time before any body issue is evident. It may be necessary for some horses to require a number of treatments to release the layers of tissue affected in order to get to the underlying cause. 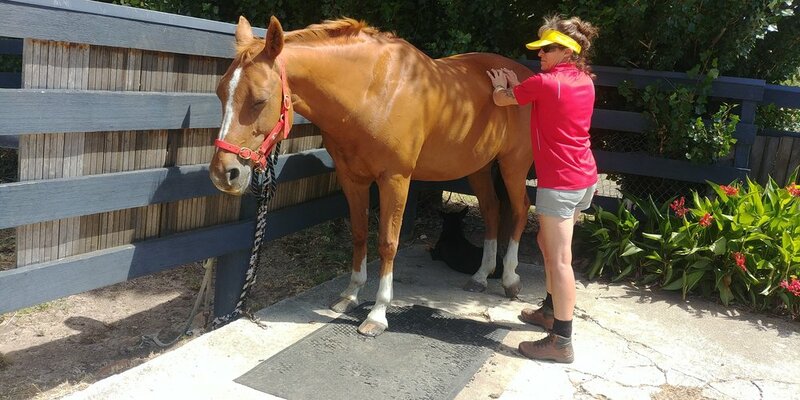 Muscle Rehab is of great benefit to all horses either as a maintenance program, to target specific issues or complimentary to Veterinary services. It is a non-invasive treatment that does not involve manipulation. I have seen excellent results in ulcer prone horses. Many skeletal issues can be easily rectified with Muscle Rehab treatment as it is often the tension in the soft tissue causing the ‘pull’ on the skeleton and associated inflammation. This treatment works through a number of meridians and trigger points so it also has a profound effect on internal organs and immune system. In addition to the physical improvement that is visible and evident in the horses way of going is the improvement in the horses mental state. By relaxing the physical state they no longer respond to a pain stimulus so an improvement in attitude is always noted. Muscle Rehab Treatments are hugely beneficial in assisting the owner to identify the cause of the discomfort so they can make any necessary changes to avoid re-injury.